Access your clairvoyant ability, your innate sixth sense to see intuitively. Learn how to maintain neutrality with family, friends, associates and clients. See aura layers, vibrations, male and female energy, energy centers (chakras), past agreements and your intuitive reading screen. Learn how to clear your vision, establish intuitive boundaries and read situations intuitively. 20 hours of pertinent information, examples, exercises, meditations and practical applications. The “Intuitive Skills 2 Workbook.” Follow along in the workbook as you listen to the CDs. 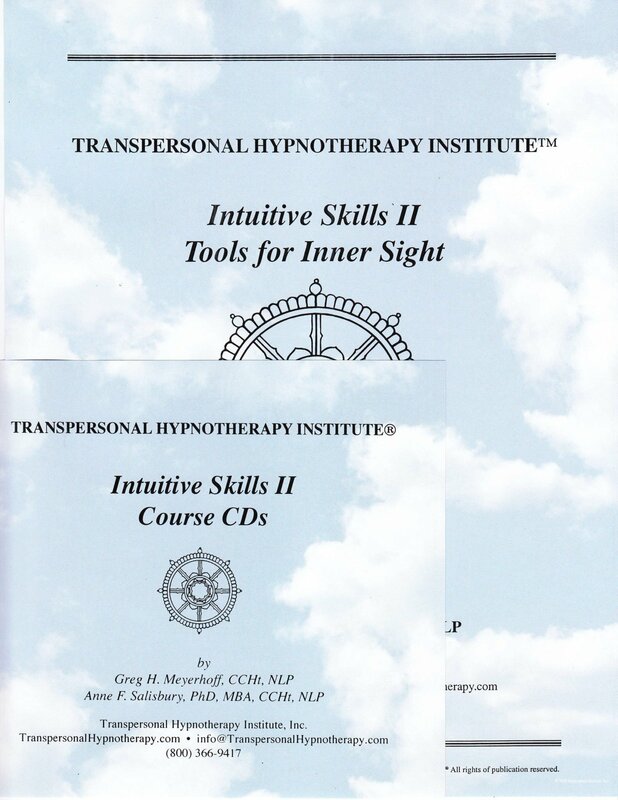 The “Intuitive Skills 2” certificate of completion suitable for framing upon successful completion. A Review of Intuition, Clear Out Meditation, Discussion, Reducing Chakra Energy, Reducing Chakra Energy Meditation and Discussion, Reading Screen and Rose Meditation and Discussion, Interpreting a Rose, Psychic Reading Demo #1. Psychic Reading Demonstration with Discussion #1, #2, #3, #4, Rose Reading At Home Exercise. Clean Out and Review Meditation, Cleaning Rose, Preparing to Read, Giving Past Life Readings, Past Life Reading Demo #1 and Discussion. Past Life Reading Demo #2 and Discussion, Colors and Vibrations Experience, Past Life Reading At Home Exercise. Review and Discussion, Utilize Gauges, Prepare to Read Meditation, Reading Screen Demo with Discussion, Reading Yourself Meditation and Demo, Put Decisions in Roses. Reading Pointers, Layers of the Aura, Reading Aura Layers 1 through 3 Demo #1, Demo #2, When the Screen Goes Blank, Reading At Home Exercise. Reading Aura Layers, Clean Out Meditation and Discussion, Reading Aura Layers 4 through 7 Demo #1, Demo #2. Reading Aura Layers Discussion, Reading Yourself in Relationship Demo and Discussion, A Review, Reading At Home Exercise. “These tools bring me back to center. Since starting these classes, I feel more relaxed and peaceful. I am more aware of when stress is getting to me. Now I have the tools and ability to help myself.